In Waalwijk, the Netherlands, a new head office was built on behalf of Rabobank. The office building is located on Taxandriaweg, a street that can be seen from the A59. Rabobank places great value on sustainable building and working. That is why it was important to them to rely on sustainable materials and to cooperate with local companies when building the new head office. In addition, sustainability measures were taken in the building, such as photovoltaic panels, a heat storage system and the use of voltage optimisation. The draft that combined multifunctionality with appropriate simplicity comes from Van Aken Architects from Eindhoven. The BREEAM method was chosen to demonstrate the sustainability with which the building was actually constructed. BREEAM stands for the “Building Research Establishment Environmental Assessment Method”. It is an integral method for assessing the sustainability of buildings that is used for building analysis and improvement. This certification method is the world’s most important and most frequently used sustainability label. 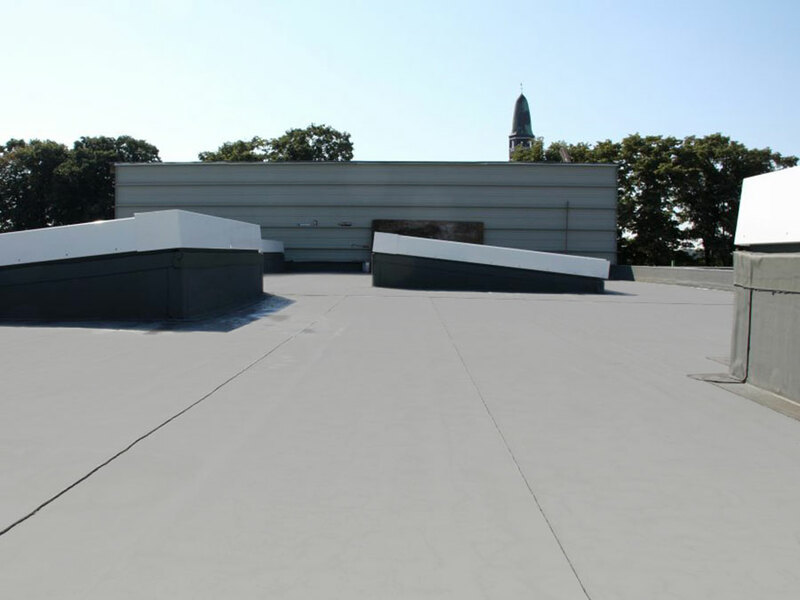 In terms of sustainability, the service specifications soon moved towards an EPDM flat roof waterproofing. An EPDM flat roof waterproofing stands out from a conventional roof covering in particular in terms of elasticity and ageing resistance. 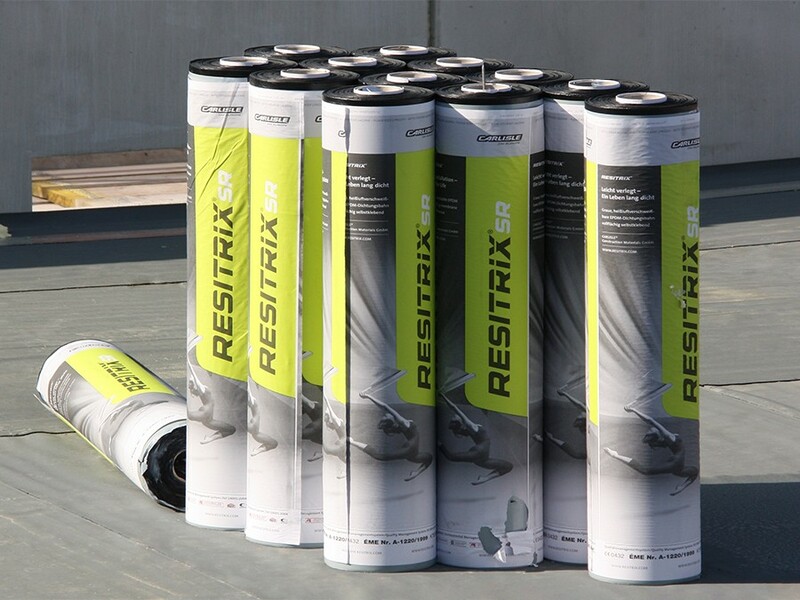 That is why it is also not a surprise that the EPDM flat roof waterproofing from RESITRIX® was chosen. RESITRIX® EPDM sealing membranes are being used with increasing frequency in order to meet the criteria for a BREEAM certification. The Plastics Centre (SKZ) has acknowledged that RESITRIX® has a service life of more than 50 years – and it is even the only product of its kind for joining seams. Photovoltaic solar panels were attached to the EPDM flat roof waterproofing, which have a total energy output of 46,000 kWh. When using photovoltaic systems, the service life of the underlying roof waterproofing material is crucial. 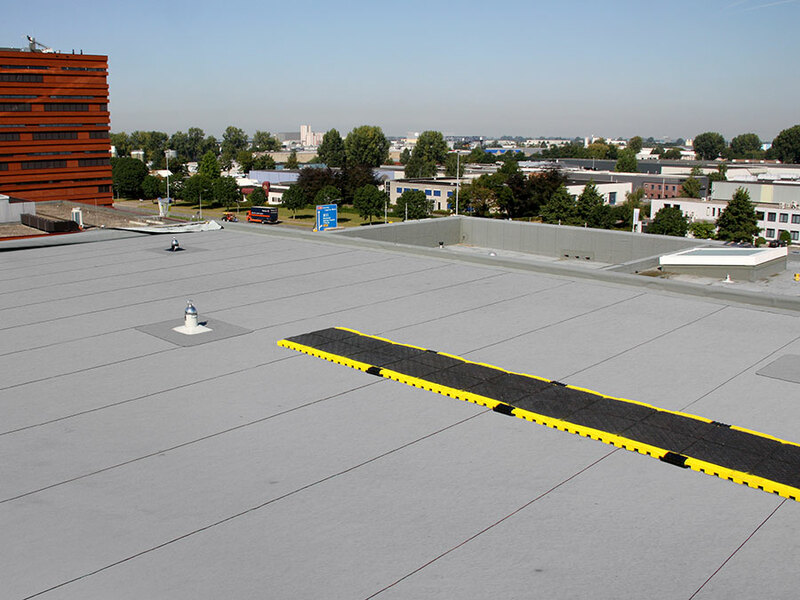 In the ideal case, the service life of the roof waterproofing material of course exceeds that of the solar panels. 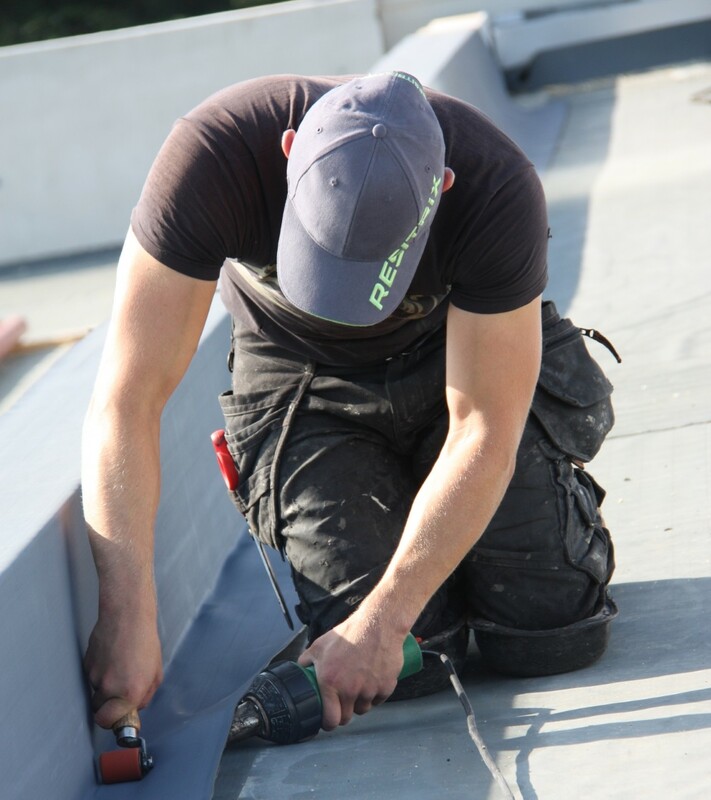 Since an EPDM roof waterproofing material offers an extremely long service life, it is ideal for use with photovoltaic systems. The grey RESITRIX® SR membrane also has reflective properties due to the light grey colour and is suitable for light waterproofing of all kinds. In addition, this solution offers the advantage that the building heats up less during the summer.